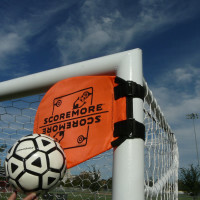 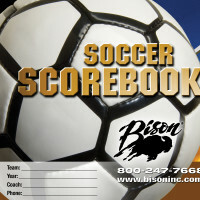 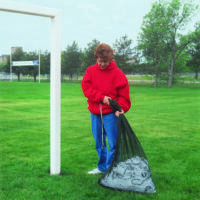 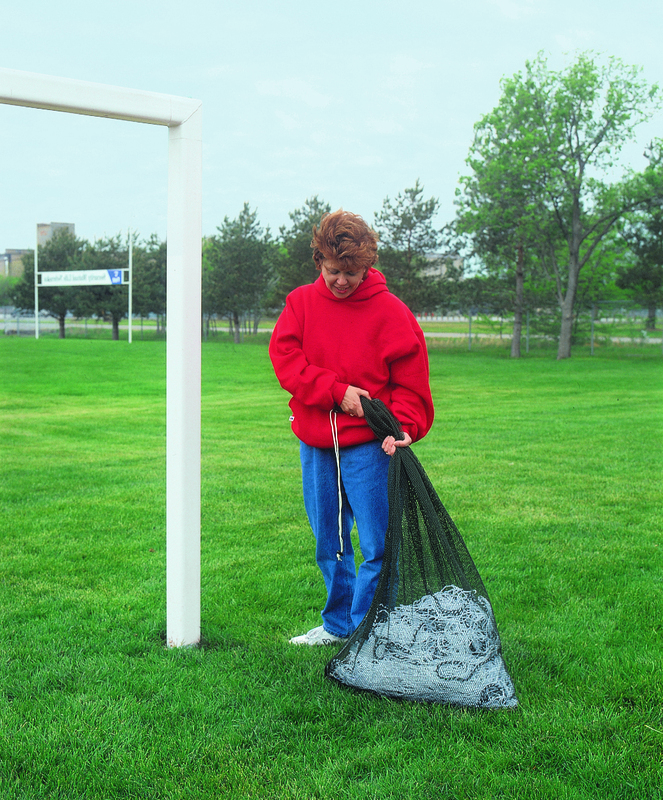 2" x 4" Rectangular No-Tip Soccer Goal Packages - Bison, Inc.
As the name implies, Bison No-Tip goals eliminate the need for undependable and inconvenient ground anchors, ballast bags or other goal tip over safety options that rely on human behavior to insure safety. 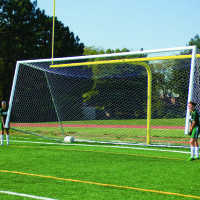 Once properly filled with sand and installed, these No-Tip drums not only eliminate the threat of forward tipping onto players hanging on the goal crossbar but also allows easy transport on and off the field and the reduction in the stress on vulnerable welded goal joints that can cause premature goal deterioration. 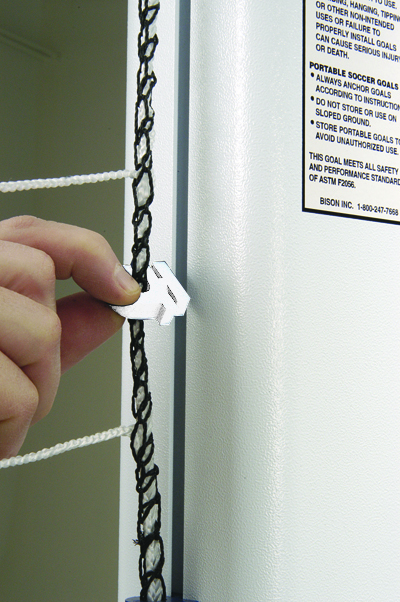 The combination of our No-Tip transport system and our torque tested backstay attachment system allow us to offer an industry leading eight-year limited warranty on all No-Tip goals. 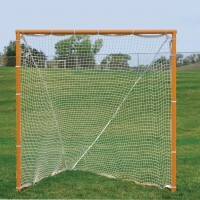 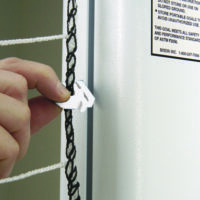 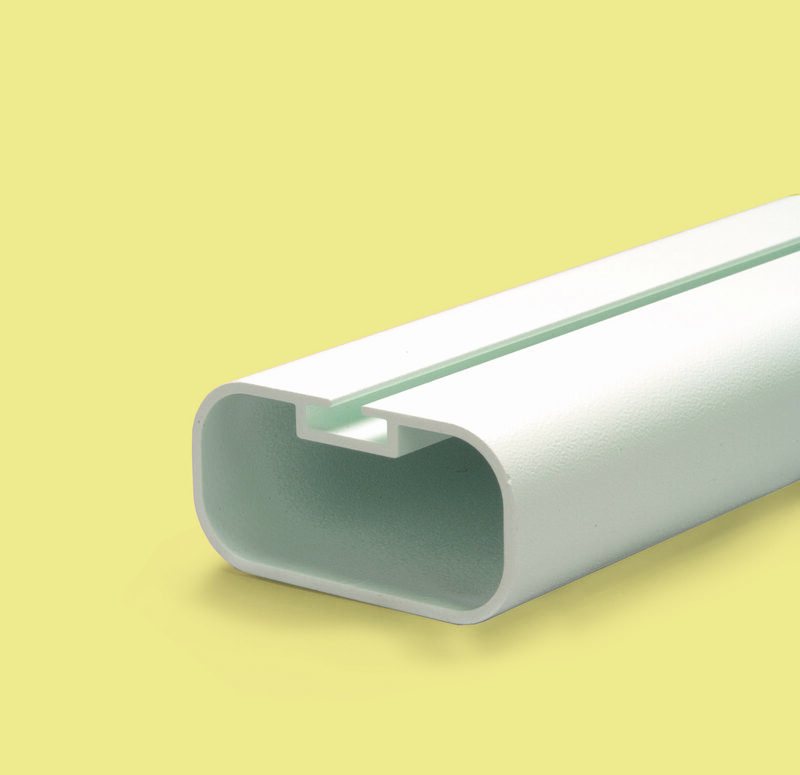 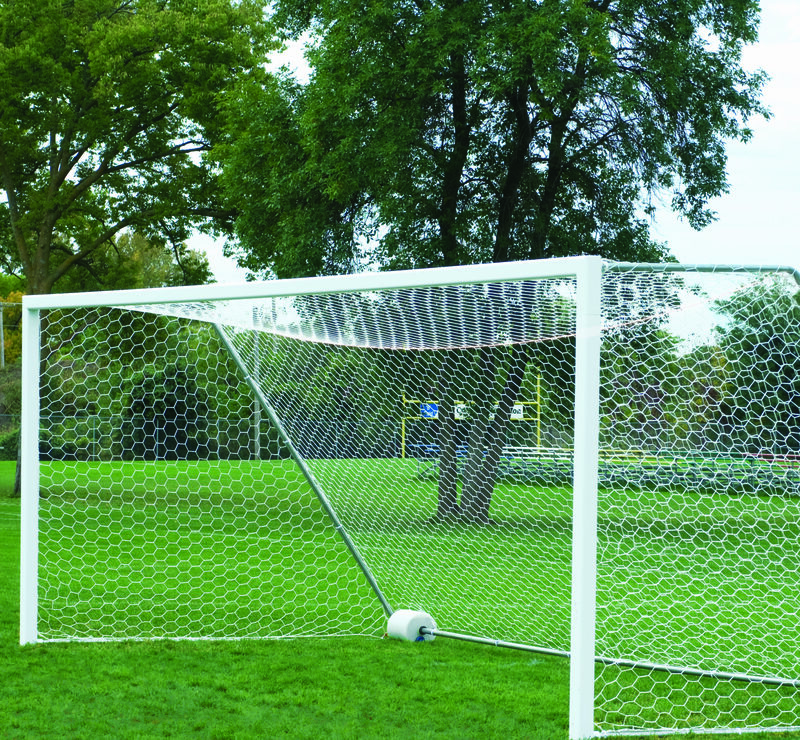 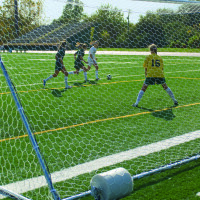 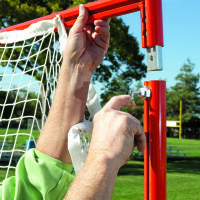 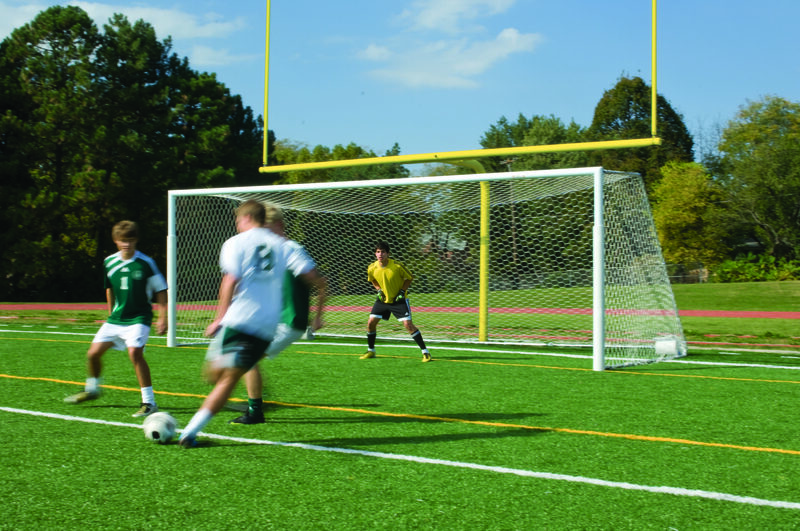 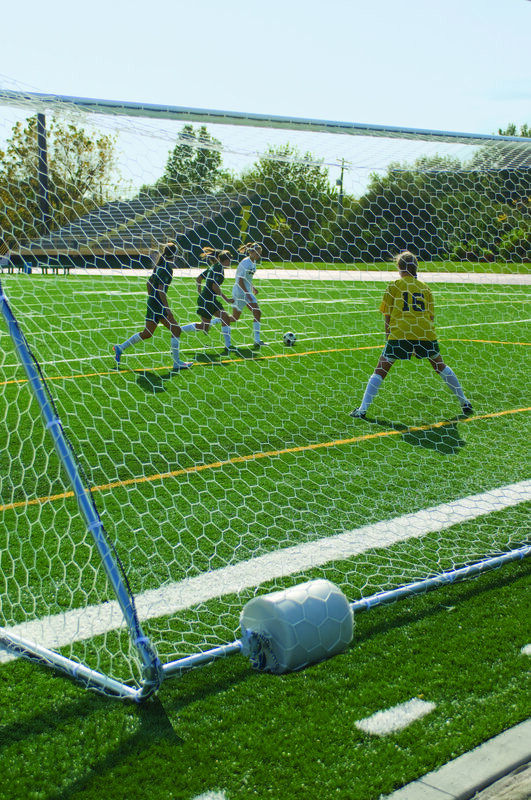 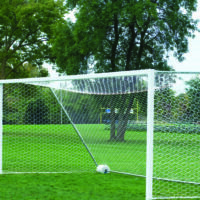 Additional standard No-Tip goal features include extra deep goal depth, competition net, QwikTrack net attachment system, net storage bag and a super thick textured white powder coated finish. 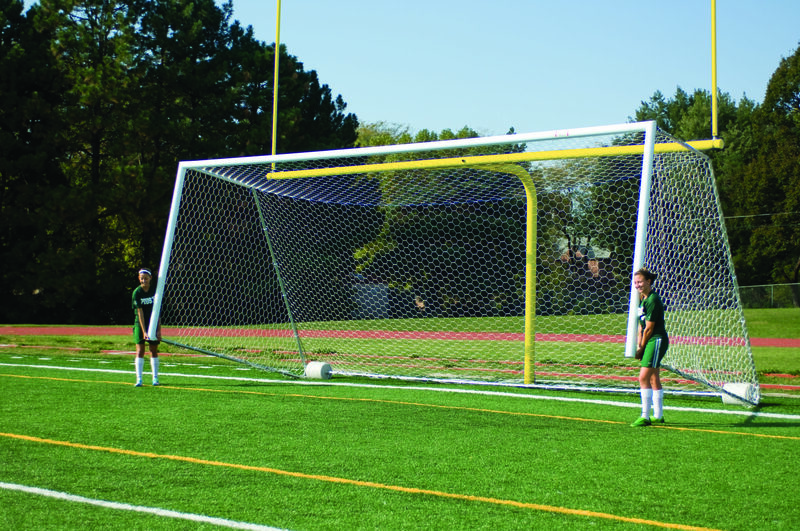 See chart for aluminum opening extrusion shapes and overall goal size options.